Only items listed within the product description are included with this package. Beautiful single bed with attractive tongue and groove details in headboard and footboard. A great bed for boys and girls of all ages. Make the bed into a useful storage bed by adding a pair of our single drawers under the bed or transform it into a sleepover bed with our trundle bed with super comfortable foam mattress. 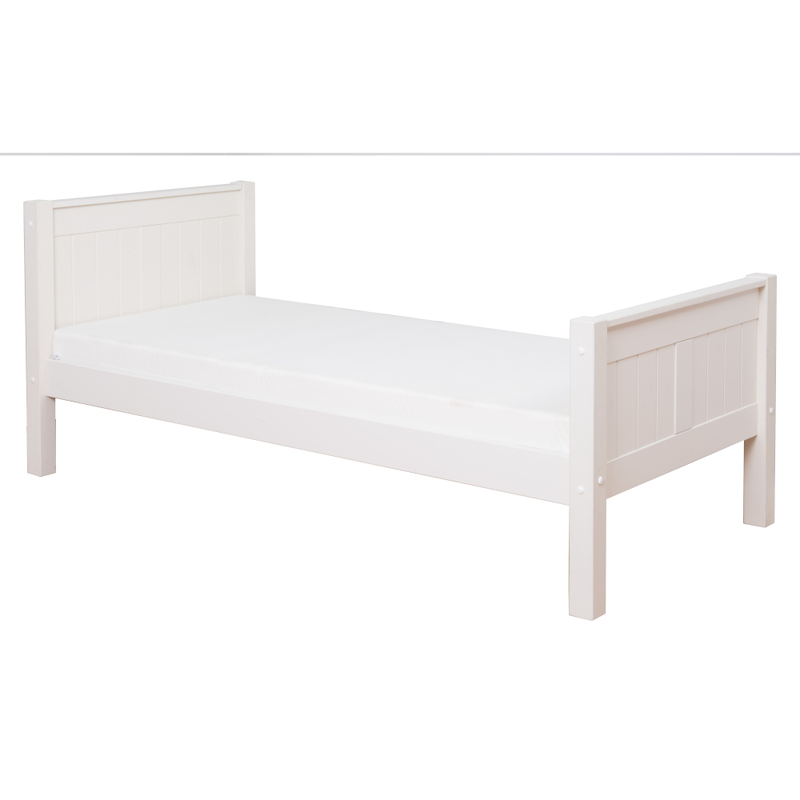 A very versatile bed for use in children's bedrooms or as a guest bed in the spare bedroom. Traditionally crafted from solid pine ensuring sturdy, long lasting quality. Includes Classic Single Bed Frame. This bed takes a standard UK size mattress 900x1900mm - see our Stompa mattress options available. Size of our spacious single drawers on castors H243xW920xD616mm. Size of our Trundle Bed on Castors H243xW786xL1840mm. Size of Trundle Foam Mattress for use on Trundle Bed H135xW750xL1760mm. 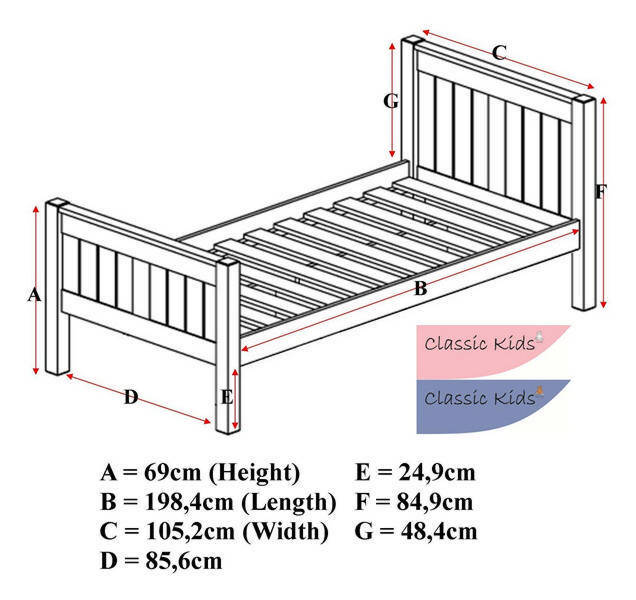 To view the technical line drawing specifications for the Classic Kids Single Bed White please click on the following link. Would you like this item assembled (UK Mainland Only*)?